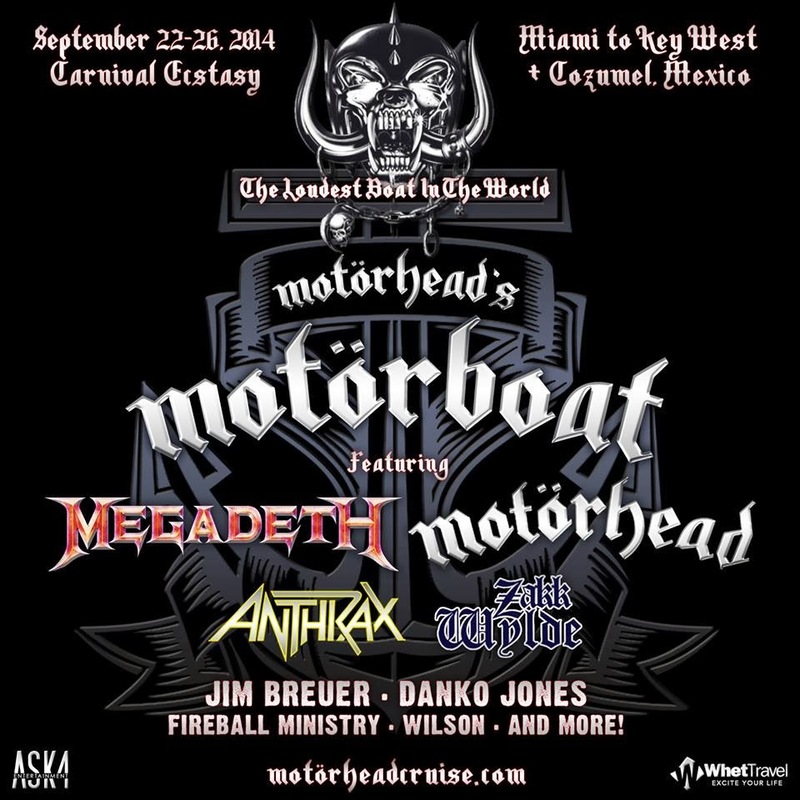 We are excited to announce Motörhead's MotörBoat - The Loudest Boat In The Wörld - featuring Megadeth, Official Motörhead, Anthrax, Zakk Wylde, Jim Breuer, Danko Jones, Fireball Ministry, Wilson and even more! Sailing September 22-26, 2014, on the spectacular Carnival Cruise Lines Ecstasy from Miami to Key West and Cozumel, Mexico, we'll have dozens of amazing concerts, artist meet and greets, Q&A sessions, wet and wild parties, crazy theme nights and a ship-ton of other fun stuff! The full website with complete cruise details and cabin pricing will go live later this week at www.motorheadcruise.com, and cabins will go on-sale Tuesday, March 18th at 12:00pm-ET!